Pair your angel’s evening look with our ivory pearl bridesmaid hair band. This exquisite David Charles edition is a must-have accessory for any wedding guest outfit. Whether she’s a flower girl, bridesmaid or maid of honour, celebrate the occasion with everlasting style. This hair band is available in a polished ivory colour, complete with pearlescent resin florals and freshwater pearl accents. These timeless details are offset with an oversized bow ready to complement your daughter’s finished look. Flexible plastic hair band encased in luxurious textured fabric. Choose our ivory pearl bridesmaid hair band for special occasions that require a designer touch. Pair your angel’s evening look with our ivory pearl bridesmaid hair band. This exquisite David Charles edition is a must-have accessory for any wedding guest outfit. 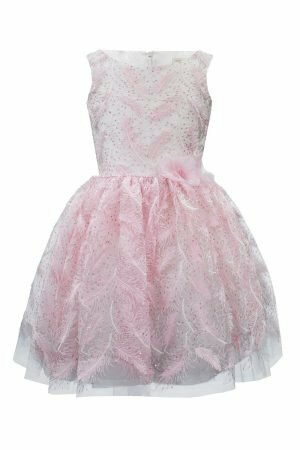 Whether she’s a flower girl, bridesmaid or maid of honour, celebrate the occasion with everlasting style. This hair band is available in a polished ivory colour, complete with pearlescent resin florals and freshwater pearl accents. These timeless details are offset with an oversized bow ready to complement your daughter’s finished look. Flexible plastic hair band encased in luxurious textured fabric. Choose our ivory pearl bridesmaid hair band for special occasions that require a designer touch. 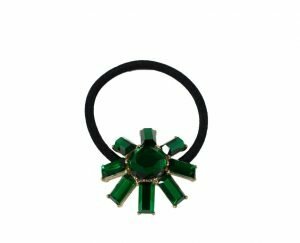 Push the style envelope with this jewel green sunshine scrunchie. An exclusive piece from our A/W16 accessories range, this designer bobble is sure to add some glitz to your sweetheart's special occasion wear. Whether she has a birthday party or prom to attend, this elasticated scrunchie will keep your girl's hairstyle looking perfect all evening. With a luxurious jewel green hue and sunshine-shaped gem design, this is no ordinary bobble. This soft black hair elastic grips the hair securely without snagging, so your cherub's updo will remain comfortably in place from day to night. 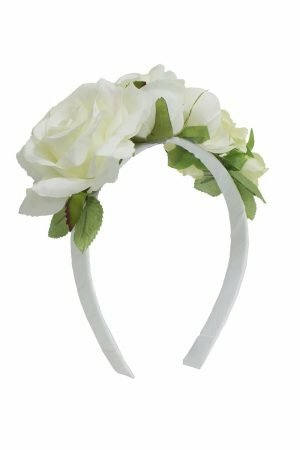 Step into a floral wonderland with our ivory botanical rose hair band. This signature David Charles piece offers a seasonal rose design, which is handcrafted to enhance your girl's spring/summer style. Whether she has a wedding or birthday party to attend, let your daughter's natural beauty bloom with this charming hair addition. Pretty roses are framed with a decorative leaf motif, while the all-over ivory colourway is sure to freshen up your angel's occasion look. Flexible plastic hair band wrapped in soft satin fabric. Create a sensational statement evening look with our ruby red sunshine scrunchie. Exclusively available to celebrate new season style, this vibrant hair bobble is perfectly on-trend for A/W16. 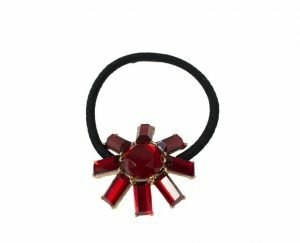 With its beautiful ruby red colour palette and jewel-effect sunshine design, this hair accessory is sure to be a winner when brightening up your starlet's party outfit. 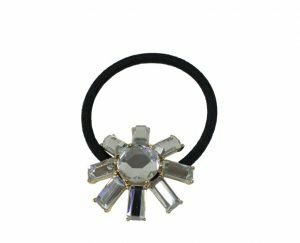 Whether she's heading to an upmarket family outing or special calendar occasion, she will make a bold lasting impression with the addition of this designer scrunchie choice. Black elasticated bobble grips your girl's hairstyle comfortably and is flexible to hold any updo in place for day or evening occasions. Let your sweetheart's evening outfit sparkle with this silver starlet sunshine scrunchie from David Charles. Sophisticated and of the highest designer quality, now your girl can enjoy a polished look ahead of the new season. Available in a precious silver tone with a feminine sunshine-shaped jewel design, this elegant bobble is sure to become your girl's must-have hair accessory choice. With a flexible black elasticated bobble that provides a comfortable and secure fit, this piece is simply ideal when your daughter needs to refine her look for Sunday best, weddings or parties. Pair with your girl's favourite special occasion outfit and she will be all smiles.